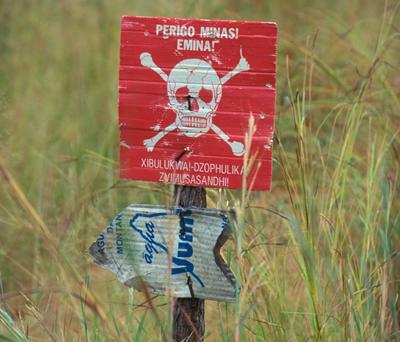 The landmine problem is a blight on the lives of many African people. With the mission to improve the health and wealth of nations affected by conflict through research, experts at the University of Southampton are establishing a new Sub-Saharan Africa Blast Injury Research Network to maximise the impact of research through engagement with in-country stakeholders across multiple sectors. On Wednesday, 27th March, the Network will host its first Blast Injury Workshop in South Africa, in collaboration with the Blast Impact and Survivability Research Unit (BISRU) at the University of Cape Town. Blast injuries caused by conflict, legacy landmines and explosive remnants of war (ERW) represent a global humanitarian challenge, posing a serious and ongoing threat to civilian populations. From 1999-2016, landmines and ERW caused an estimated 113,000 blast-related casualties, although this is thought to be significantly underestimated as many casualties still go unrecorded, particularly in current areas of conflict where the totality of the impact is yet unknown. In 2016, an estimated 78% of blast-related casualties were civilians, of which 42% were children. The threat of blast injuries affects millions globally, particularly vulnerable populations within low- to middle-income countries. The Network and wider research draws upon a unique trans-disciplinary collaboration between two early career researchers, Dr Jack Denny within the Bioengineering Sciences Research Group within Engineering and Physical Science and Dr Rebecca Brown within the Clinical Informatics Research Unit (CIRU) in Medicine at Southampton with support of Professor James Batchelor and Dr Alex Dickinson. Dr Denny’s blast engineering background brings unique expertise and modelling approaches to help establish a framework for designing relevant blast injury studies and provide detailed insight into the diversity of funding and knowledge gaps within the field. Dr Brown and Professor Batchelor have substantial experience in research-on-research projects including global health and health system research. They have also reported widely on funding trends for health research, applying deeper statistical analysis and expert comment to enhance the applicability of the findings. Outputs of their work have been widely utilised by a range of global stakeholders including the World Bank and WHO. “There is currently no global database of historic and current blast injury research and the current evidence-base to inform research strategies, methodologies, funding decisions and health policy is widely accepted to be insufficient and out of date,” Dr Brown explained. “Both of these issues make it challenging to assess the clinical and public health impact of blast injury studies, the effectiveness and fairness of funding and how health systems can sustainably absorb findings to direct new research priorities and improve health outcomes,” concluded Dr Brown. This project also complements the current GCRF-funded work undertaken by Network Advisor Dr Alex Dickinson, Associate Professor within Southampton’s Bioengineering Sciences Research Group, in Cambodia, focussing on prosthetic and orthotic technologies, and building upon a network of individuals concerned with the humanitarian, civilian and rehabilitation issues pertaining to blast injuries in South East Asia. The international workshop welcomes a multidisciplinary team of scientists, clinicians and academics from the UK and South Africa from both engineering and medical backgrounds, as well as participants from Zimbabwe who design personal protective equipment for humanitarian demining, and input from the non-governmental organisation, Action on Armed Violence (AOAV) and the demining charity, The HALO Trust. “As a university, we have extensive experience working globally, including sub-Saharan Africa, engaging with governments, clinicians and academics providing support for cross-sectoral collaboration to promote wider communication and evidence-informed policymaking,” said Professor Batchelor. “Putting a framework around research to give context to blast injuries is critical to ensure that there is an optimal response to the public investment into blast injury research”. “Working with countries directly affected by blast injuries from landmines and ERW will offer a unique insight into the political, clinical and policy-making challenges posed by these issues,” Dr Brown concluded. Once established, the Network will continue to bring together nations and different stakeholders to work in partnership to address the totality of issues ranging from clearance and protection (engineering problem) to injury and social impact (health system and economic development). Dr Jack Denny is an EPSRC Doctoral Prize Research Fellow within Engineering and Physical Sciences at the University of Southampton. 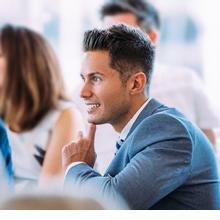 He graduated in 2014 with a BEng degree in Civil Engineering from the University of Southampton, achieving both the best exam performance and best undergraduate dissertation awards.